As group of children board the school bus. Leaving unsurpassable tornadoes of dust behind. 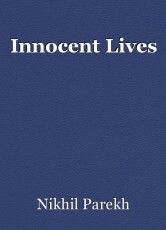 As Innocent lives mercilessly drowned into the savage waters of the amazon. Poetry - Happy New Year. Is it a sin to admit Jack The Ripper is an idol? "Teen Shabd" / "Three Words"
This page was created in 0.3342 seconds.